In the above architecture from the left figure bottom to top you can see steps to develop the service and consume it in Fiori or other front end applications. Here modeling of CDS, Behavior definition and behavior implementation happens. Behavior definition: A behavior definition is defined using the Behavior Definition Language (BDL) and comprises capabilities and modelling aspects of the business object node or nodes, for example the supported operations (such as create, update, and delete actions) or the definition of lock dependencies between the parent and child nodes. In short behavior definition is used for transaction processing of an application. Behavior Implementation: Here implementation of create, update, delete etc methods of behavior definition happens in ABAP Class. Service definition: The service definition is a projection of the data model and the related behavior to be exposed. Service Binding: The service binding implements a specific protocol and the kind of service to be offered for a consumer. Service definition has one or more service bindings. You can use a service definition only in connection with at least one service binding. Service consumption in the form of OData is consumed in Fiori or other front end applications. Lets start developing an OData service for List Reporting based on the ABAP RESTful Programming model. 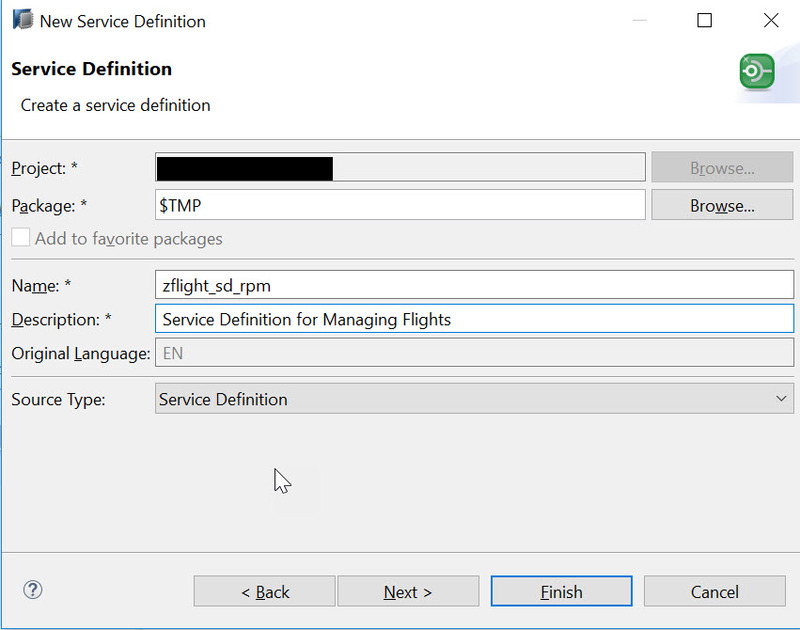 I am using flight data model for Building the oData service. 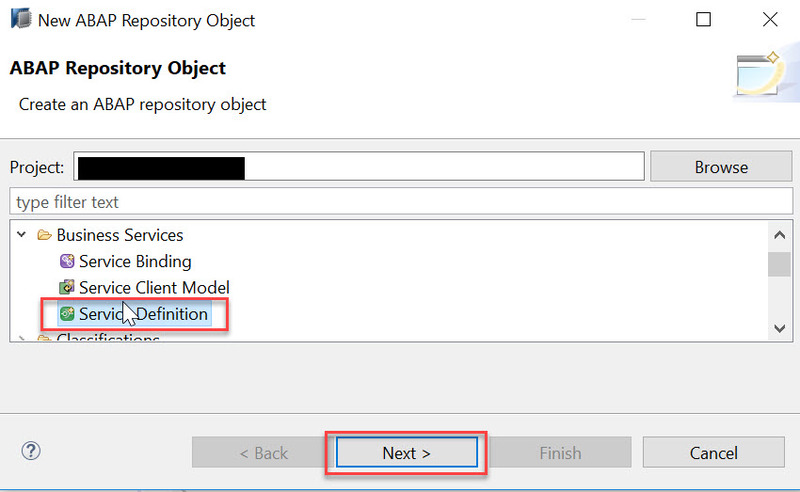 one or more CDS entities can be exposed in the service definition. Service binding implements the protocol that is used for the OData service. It uses a service definition that projects the data models and their related behaviors to the service. 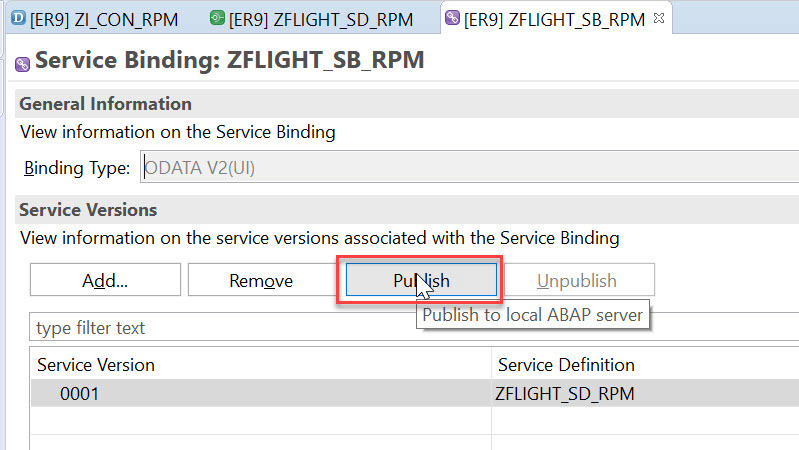 In above “ZFLIGHT_SB_RPM” is the service binding for service definition “ZFLIGHT_SD_RPM” created in Step 2. 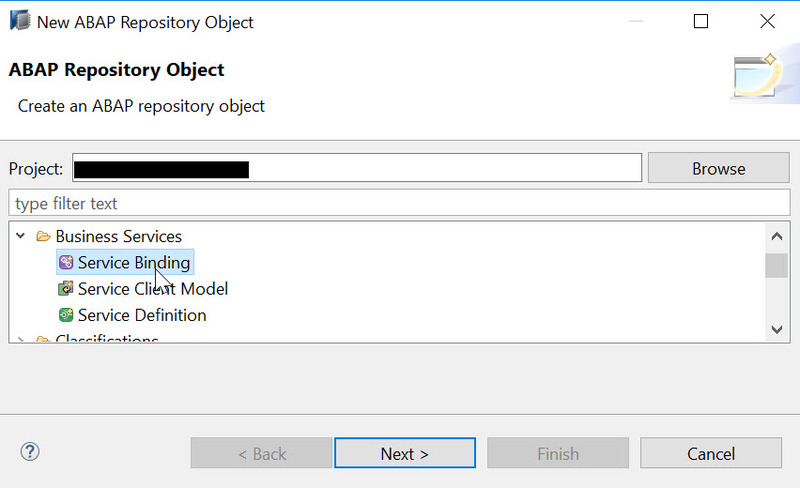 The ABAP back end creates a service binding and stores it in the ABAP Repository.In the Project Explorer, the new service binding is added to the Business Services folder of the corresponding package node. 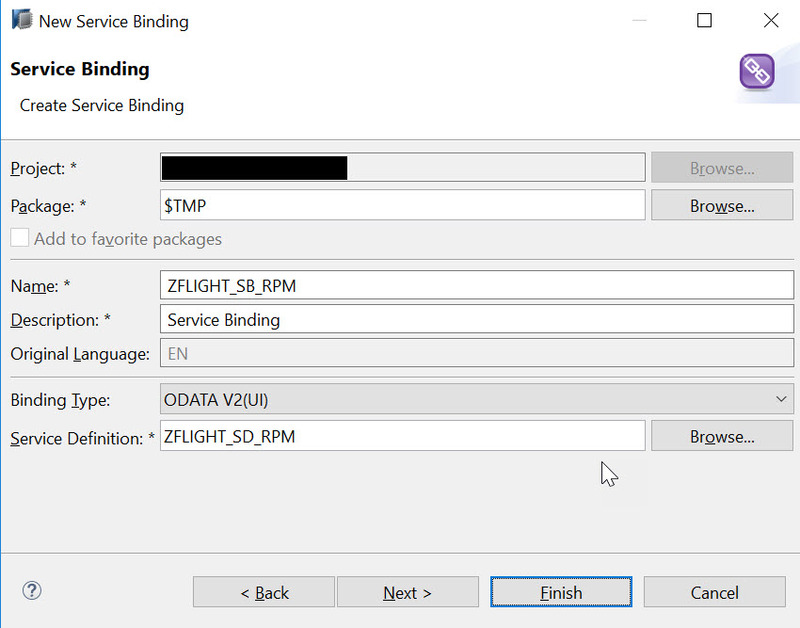 Odata service “ZFLIGHT_SD_RPM” published locally and on the left side of the form editor, the service list with the name, version of the OData V2 service is filled. The right side of the form editor shows the service information and lists the entity sets that are exposed for the service. 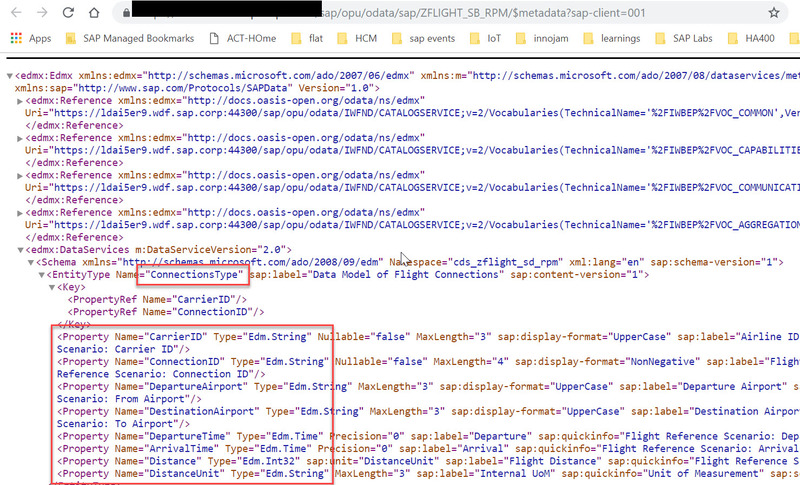 Metadata of the service “ZFLIGHT_SB_RPM” can be viewed in the browser. 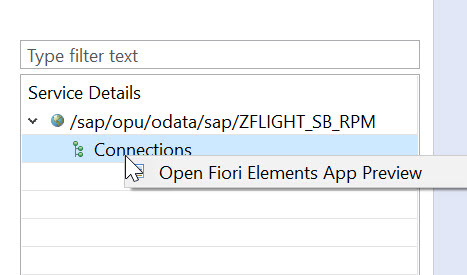 Before releases in order to view the results of modeled CDS view you need to go to WebIDE and create a project for smart template Fiori app and give OData service to view the List Report application but in the latest release of ABAP on SAP Cloud Platform a plugin is configured to see the result preview of SAP Fiori Elements App. Thanks Pavan for good blog. Looking forward to the next one. The above blog is very, very similar to the official SAP documentation on the subject…. that being said it is a lot more compact, and thus easier to understand. Looking forward to see the model conquering the On-Premise world! You can go through tutorial “Create Core Data Services with ABAP Environment” which has “Add Transactional Behavior to Your Core Data Services” explains transaction (CUD) application by using behavior definition and behavior Implementation. Very nice..waiting for your upcoming topics..